After graduating from Edinburgh University in 1991, I immediately began my career in Paediatrics. I finished my training in Glasgow at the Royal Hospital for Sick Children (Yorkhill) the second largest Children's Hospital in the UK at that time. I moved to Norfolk to work at the James Paget University Hospital (JPUH) in 2000. I am interested in all Atopic/Allergic conditions such as Asthma, Eczema and allergies to food and airborne substances (including animals). I run a weekly Paediatric Allergy Clinic at the JPUH and a twice monthly Asthma/Respiratory clinic. I also run General Paediatric Clinics and can deal with most Paediatric Illnesses. My patient feedback is excellent. 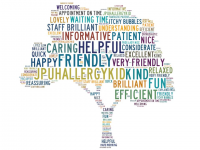 You can see my Allergy Clinic feedback on Twitter at @JPUHAllergyKid.